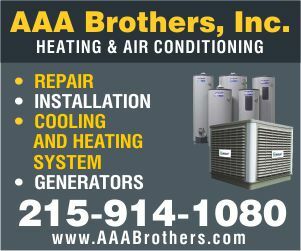 Northeast Philadelphia is a vibrant residential and commercial community. The presence of a proposed methadone clinic at the corner of Frankford Avenue and Decatur Street in Holmesburg threatens the community’s quality of life, economic development and public safety. It’s a risk we cannot afford. For the last two years, I have stood with community members and elected officials in strongly opposing the proposal for a for-profit methadone clinic at this location. I am outraged that the Common Pleas Court sustained an appeal of a Zoning Board of Adjustment decision, clearing a path for The Healing Way to open the clinic. We have a responsibility to ensure that treatment options are available for those suffering from addiction. However, The Healing Way’s operators have no medical credentials of any kind. Methadone clinics provide narcotics and can pose a health and safety threat if not administered by qualified professionals. Federal laws and regulations exist to protect our communities, and I am working closely with federal, state and local officials to ensure the full enforcement of all rules and regulations. Given the many concerns and potentially negative consequences associated with this project, we must pursue every option available to stop it from opening. I’ve expressed my strong concerns and opposition to the federal Drug Enforcement Agency (DEA), the Department of Health and Human Services (HHS) and the Substance Abuse and Mental Health Services Administration (SAMHSA), and I will continue to call on them to prevent the clinic from opening. I commend City Council Members Bobby Henon and Dennis O’Brien, State Reps. Kevin Boyle, Michael McGeehan and John Taylor, and State Sen. Mike Stack for their leadership, and I will continue working with them to ensure this clinic does not open. I would also like to thank the Mayfair and Holmesburg civic associations for mobilizing the community’s collective voice on this important matter. Actually a methadone clinic would provide the exact opposite of instability, crime and danger to your community. It would provide treatment for hundreds of addicts who’d otherwise continue using illegal drugs, hypodermic syringes (which means discarding them on the streets), and committing crimes to obtain these drugs. Methadone clinics are so closely regulated by federal and state agencies BECAUSE they’re aware of the risk if the medication gets onto the streets illegally. However, when patients dose at these clinics, nurses and/or doctors personally hand them their dose, watch them take AND swallow it, then make sure the patient leaves empty handed, opening their mouths to be sure the entire dose was swallowed. How many pain managements clinics and plain old hospitals, doctors and dentists are there in NE Philly? Hundreds I assume? You have the same risk of medication being brought onto the Streets from these LEGAL doctors offices as you do opening a methadone clinic. A safe, harm reduction, addiction treatment center is many times safer than a doctor handing out narcotics prescriptions to every patient with a back ache! Please don’t allow your bias and stigma to get in the way of treating hundreds of addicts the SAFE, legal way! Where they’ll be monitored every single time they step into that office! One important fact to remember: abstinence based treatment has a low 10% suggess rate; whereas MAT (medication assisted therapy) has a whopping 68% success rate! Think about that before you deny addicts their chance at life. Why don’t we tell the real truth about methadone? Could it be due to all the money being made? 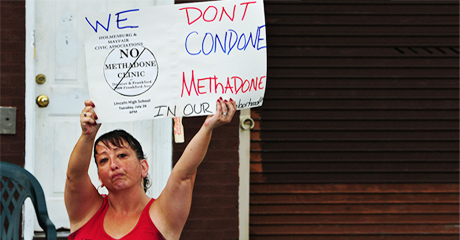 Methadone Clinics are no better than “pill mills”! The addicts that get drawn into these clinics are victims of this huge money making scheme. (They will never be drug free and methadone causes another set of problems) To the patients- Do you want to be just another statistic? There were 5500 methadone related deaths in 2007.Most deaths occur within the first two weeks of starting. Methadone is a synthetic opiate that is used to treat pain and addiction for heroin and other opiates. When methadone is used for pain, doctors write the patient a prescription for various amounts .When methadone is used for addiction patient must go to a clinic to receive dose of methadone until they earn take home privileges. Many patients being treated for addiction will remain on medication for life. Methadone is addicting and withdrawals are severe. Methadone represented less than 2% of prescribed opiates but was attributed to 1/3 of all opiate related deaths. A dose that is therapeutic for one person may be lethal to another person. Starting on methadone is like playing russian roulette. Methadone’s’ unique properties make it unforgiving and sometimes lethal. The clinic deaths are under reported. There are no federal requirements that clinic deaths have to be reported. Since many patients in a methadone program are also taking other prescribed drugs, if they die the death will be blamed on poly pharmacy even though methadone is the real culprit. If a patient is testing negative for methadone, they are not kicked out of the program. What are they doing with this methadone? Could they be selling it? Methadone is sold on the street for $1.00 per mg and the average daily dose is 120mg. Many patients in “treatment” continue to abuse other drugs. Are they then detoxed off methadone? No. Federal Guidelines don’t recommend this. People drive after being dosed with methadone before the dose has been stabilized and there have been many wrecks from this. No different than DUI. Although methadone is such a dangerous drug, federal guidelines allow the clinics to begin dosing a patient and THEN complete physical within 14 days. For all you pro methadoners before you start commenting about methadone being medicine like for diabetes, let me just say. Pharmacies are not being robbed for diabetes medicine, it’s not being diverted and sold and finally it has not caused so many deaths! For more information, please visit https://www.stopmethadonedeaths.com. Please sign petition and join the forum. Thank you Rep. Schwartz for your stand against the opening of the Methadone Clinic ( The Healing Way ) a for- profit clinic. Families appreciate when elected officials let their actions speak louder than their words. At http://www.stopmethadonedeaths.com we are the families that have lost their adult children to Methadone deaths. We hope to bring awareness to the public and medical field about this highly addictive and dangerous drug. State and Federal regulations are not being enforced all to often at these clinics. Most deaths occur within the firts two weeks of induction and go unreported to the CDC. When we tell the truth behind Methadone and the greed taking place SAMSHA shouts NIMBY (Not In Our Bacyard) or threatens to sue with the ADA (Americans With Disabilities Act) without fail at the clinics that are being opposed. Wanting to place the blame on Pain Management where Methadone is prescribed. Whether Methadone is prescribed at a Clinic for addiction, by a doctor treating pain or by diversion Methadone kills more than heroin and cocaine combined. Again Rep. Schwartz your courage speaks boldly to the public that deserves to know the truth behind these Methadone Clinics and we are grateful. We will never see our children again however we are willing to fight that other innocent families will see theirs. Visit the website share your story and sign the Petition you will help save lives. I have been on and off the methadone programs in mass and I am currently attending a clinic in the twin cities MN. I have a lot of personal injury issues that make it almost impossible to function without narcotics in my system. It is unfortunate but methadone has absolutely saved me from taking obscene amounts of prescription drugs. I understand people dumping on the methadone clinics but to be honest they do more help than harm. Opiates can take anyones life away from them and turn them into addicts it is a proven fact and it can start with a prescription from your doctor for percocet due to a light injury. People need to Back off a bit with the whole junkies are scum act its sad and ignorant. Open the clinic let people get help. You hear me shwartz????? Hopefully you never get a vice that requires outside help and you can’t attain it. ← It’s August; Why Are So Many People at Work?